Jewish Calendar Details various Jewish points-of-view about the history of the Jewish calendar/Hebrew calendar. Includes several charts. 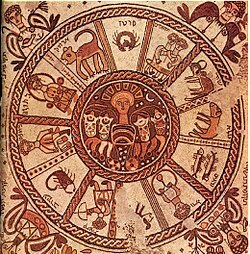 Hebrew Calendar Science and Myth gives complete rules of the Hebrew calendar and a lot more. Jewish Calendar for Outlook - A solution for incorporating Jewish dates and holidays into Microsoft Office Outlook. Molad - Free Jewish Calendar with Zmanim and holidays for Mobiles. Jewish/Gregorian/Julian Perpetual Calendar Converter - Also contains a full yéar view for the Hebrew Calendar. Use this powerful tool to convert any regular calendar date to its corresponding Jewish-calendar date, or vice versa. Kaca ieu panungtungan diédit 27 Januari 2017, jam 07.04.